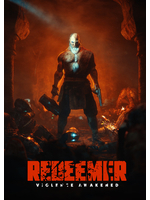 Redeemer is not about poetry, unless you consider it's an ode to violence in its every form. This game is a top-down brawler in which the hero will have to use his fists and feet to take down tons of enemies. 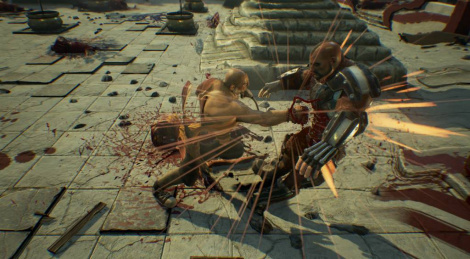 Weapons can also be dropped by the goons that seem to be on a killing spree, but your environment can also provide you with some nice ways to finish your foes. If it were not for the absence of multiplayer it would be the violent version of Double Dragon. Note: When we played the game and recorded the following footage on July 27, the game had serious optimisation issues, with framerate dropping to 30 fps at some point, with no way to bring it back to 60. We tried to reboot the game, lower the graphics settings and resolution, but to no avail. In our experience, it may happen at the beginning of chapter 2, but it is bound to occur towards the end of it (with chapter 3 having the same issue). It might have been fixed since, or it could be due to our set-up (though there is no reason), so be warned.